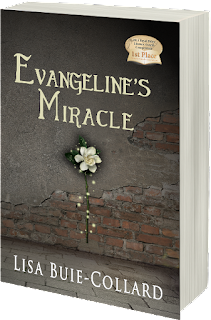 Evangeline didn’t know she was looking for a miracle, until one found her. A grieving ghost, an unsolved mystery, a lost child, a broken marriage, and an estranged mother and daughter. Can one young woman find the answer to the mystery before yet another tragedy strikes? In 1877 Lady Miracle Sobieski dies a sad, broken-hearted aristocrat. Yet her restless spirit reaches through time to a particular young woman to try and avert a mysterious legacy of tragedy. In 2007 Evangeline Lacroix loves her husband to distraction. But her unspoken fears strain their three-year marriage to the breaking point. As her life falls apart, Evie finds herself compelled to solve the 100 year-old mystery. Elusive and sometimes dangerous clues entangle her in an intricate web of deceit and (hopelessness?) disaster that threatens everything she’s ever known. As time runs out, she discovers a connection between herself and the haunted ghost. Will Evie ignore her life-long fears and listen to the past? 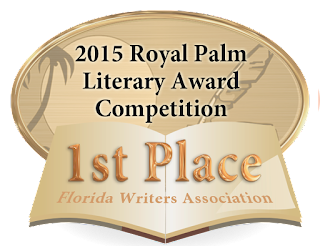 Will she save Miracle, and in so doing save herself, before tragedy strikes again? I also just finished "Evangeline's Miracle" last week. (I've been "binge-reading" lately!) It's because of this that I had to go right away and read "The Seventh Man." I love your writing style! The characters have so much depth. I do love a good ghost story, and the time-travel-through-dreams element was intriguing and a lot of fun to think about. The concept of "waking up" and seeing one's own life differently because of events that occurred in a "dream" is infinitely fascinating, as is the question of whether or not one can change a past event, or help a "trapped" ghost move on. Evangeline's discoveries about herself and the unfolding of the present and past events kept me guessing until the end. I am so happy to have discovered these two books of yours, as they are now among my favorites and I will definitely encourage others to read them! Thanks for the stories. Thank you so very much, again "JetGirlCos"! I'm in awe of you being a pilot and getting to travel so much. I took on learning French after I met my husband, who was raised in France, and we decided to have children. I didn't want to not understand when my husband spoke to them in French (we'd already decided raising them bilingually was a must) and so I took on learning it. Both of my children speak French fluently, I am happy to say... So kudos to your hubby!